Make your own popcorn in a jiffy! Nothing beats the hot, sweet smell of fresh popcorn. It's the smell of memories, taking you back to childhood cinemas and fairs. And be honest: when have you ever felt that way with store-bought popcorn? This Popcorn Maker will guarantee that feeling, time and time again. It might look as if the machine is built using plastic, but it's really made from pure nostalgia. 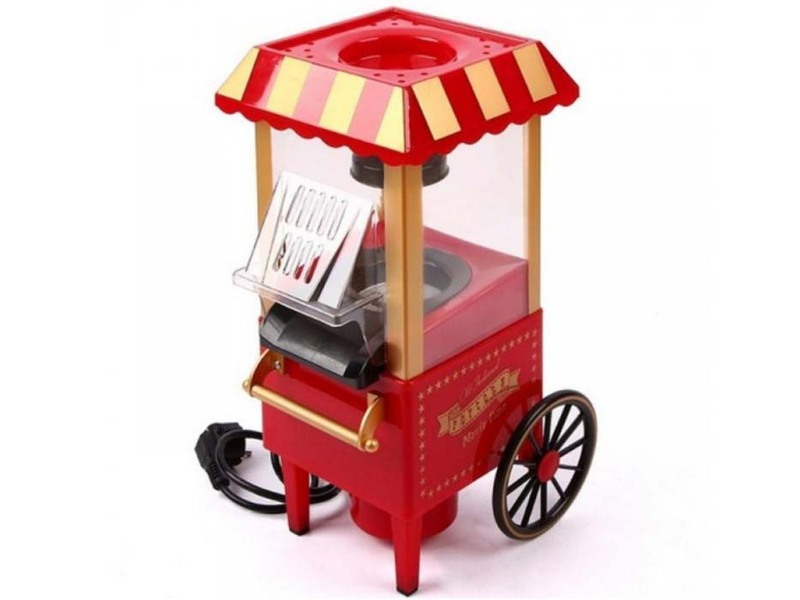 Now you can make delicious popcorn in a jiffy with this classic design popcorn cart. 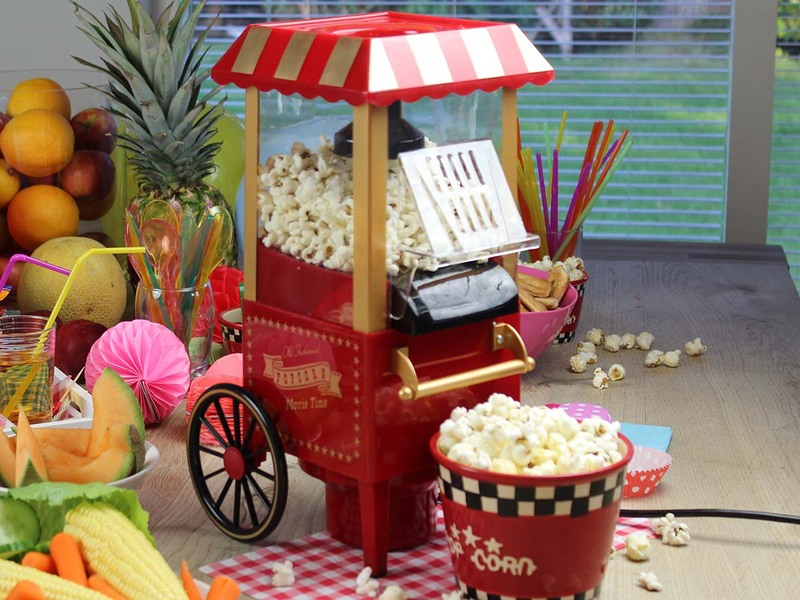 The design also makes it a perfect accessory for movie nights and kids' parties. Switch on the machine with the button on the back, fill the removable measuring container in the top with corn and just wait until the heated receptacle turns it into popcorn. You don't even need any oil or butter. Please take the popcorn out of the machine before adding sugar or salt. The popcorn maker can be cleaned with a cloth, but be careful: the inner cylinder that roasts the corn will be hot immediately after use. Warning: the inner cylinder gets quite hot!